The son of a good friend of mine announced to his family that he was not going to college. His parents, both professionals, were disturbed and appalled by their son’s decision but could not do anything about it. They, therefore, accepted it grudgingly and moved on with their lives. Many years later, after their son became wildly successful in business, they understood that to be successful every child does not have to attend university. Some may profit more from the school of life than a traditional school. The conflict between how parents and children view higher education is at the heart of The Way, the picturesque narrative of the journey Thomas Avery, an American ophthalmologist, takes to pay homage to his dead son, Daniel, who perished in an accident on the Catholic pilgrimage road to the Cathedral of Santiago de Compostela in rural Spain. As they walk from place to place, Thomas and his newfound friends experience a number of challenges which bring them closer together as friends and makes them more empathetic to the unspoken personal issues each one is dealing with on their journey. When the group finally arrives at Santiago de Compostela, they discover for themselves and reveal to each other the real reasons why they joined the pilgrimage. Thomas, whose story is the central one, now understands the words that his son said to him before leaving home to explore the world. Daniel reminds his father that Margaret Mead did not become a famous authority in primitive cultures only by studying about them. She actually went and lived among them. She talked with them, breathed the same air, and shared experiences with them. It was that first-hand contact with the locals that gave her an understanding that transcended what she learned in books. Jewish tradition places great value on learning from life, beyond what is learned in books. There is a commandment in the Bible to stand up before the grey-haired man, before the senior citizen, even if he is unlearned. Why? Because, say our Sages, life itself is the great teacher and the fact that a man has survived the ages and lived to be an old man is something that we revere, irrespective of how wise he may be. Certainly the man who gains wisdom through books is to be respected whether he is old or young. But the man of wide life experience also is worthy of our respect because he has studied the book of life and found it full of intellectual, spiritual, and emotional treasures. 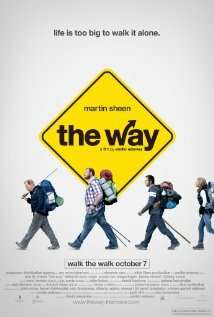 The Way is a film about one man’s journey to self-understanding, but his personal journey is a metaphor for the journey of all men who seek to understand life. The Way reminds us that knowledge of self is achieved not just by conventional study of texts, but by learning from our idiosyncratic life experiences.